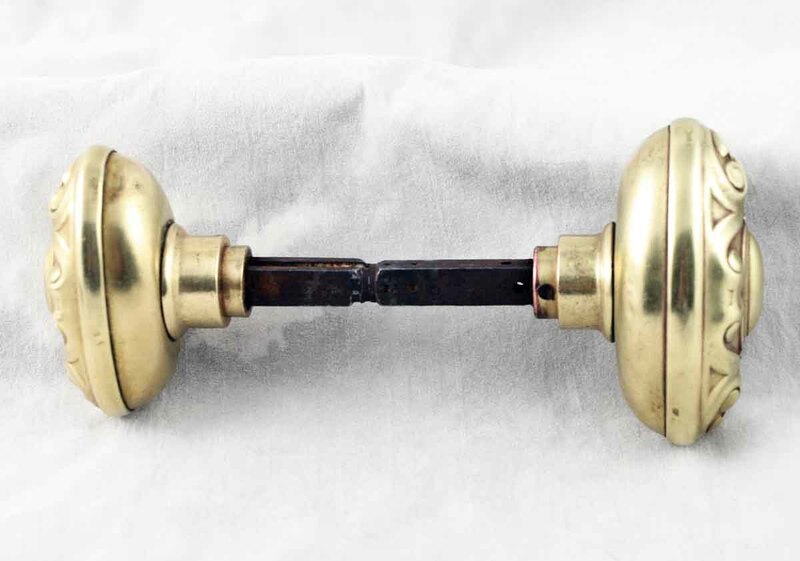 This oval brass knob set was manufactured by Yale & Towne in the 1910 catalog. 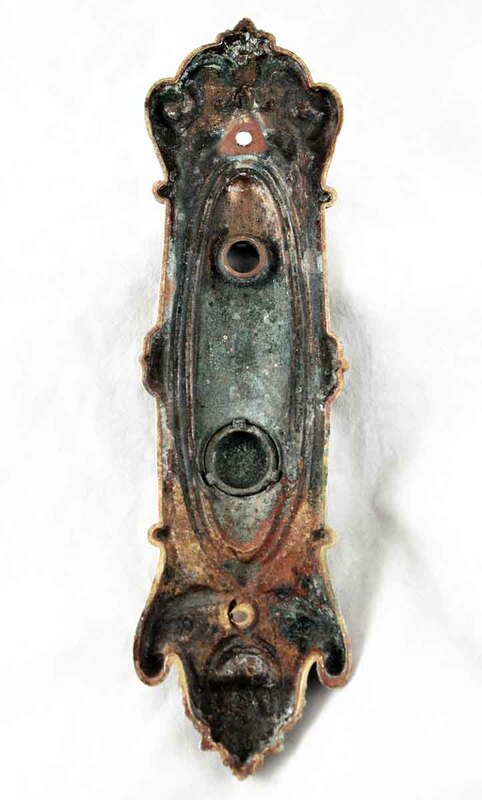 It is part of the N-13800 Meridian group. 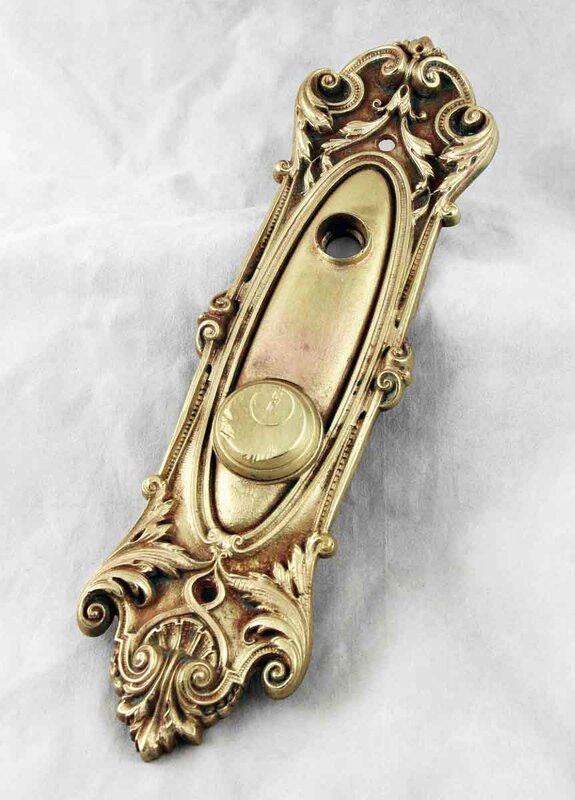 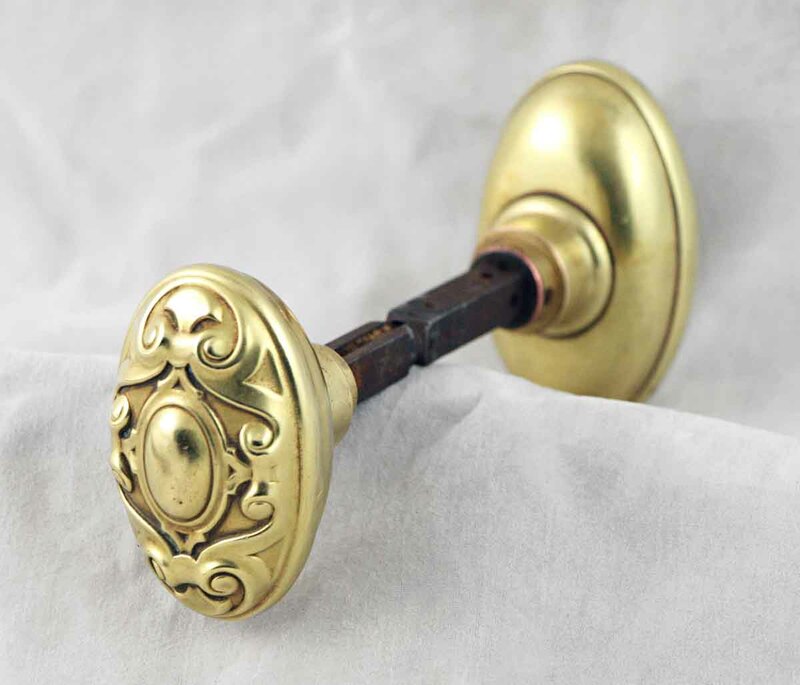 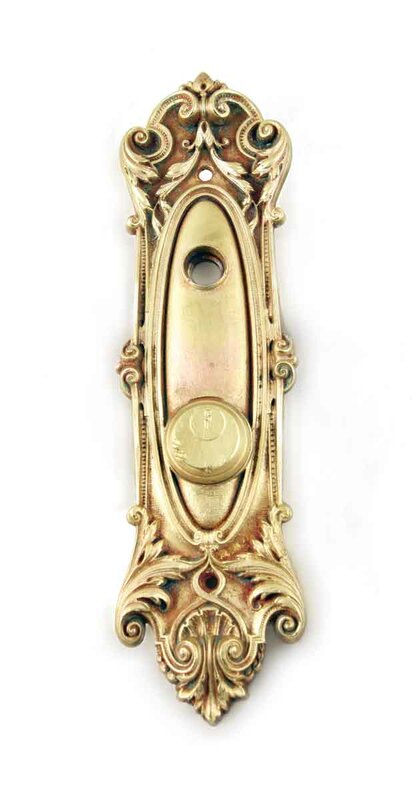 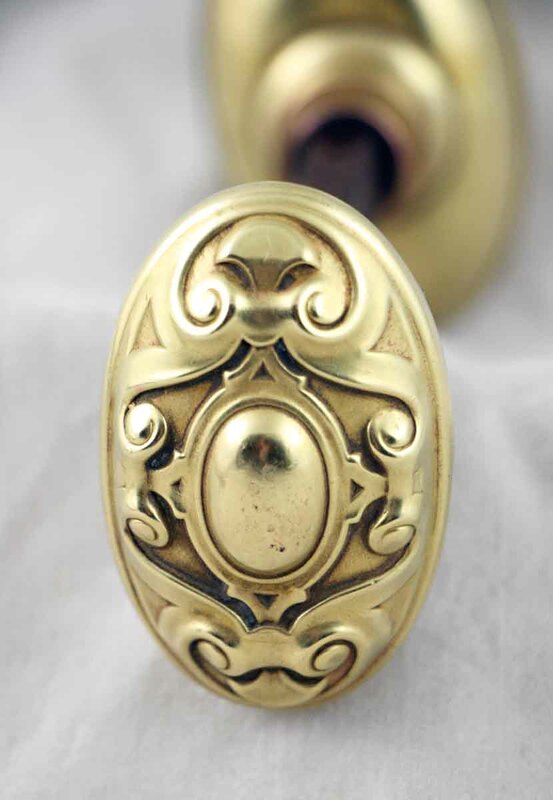 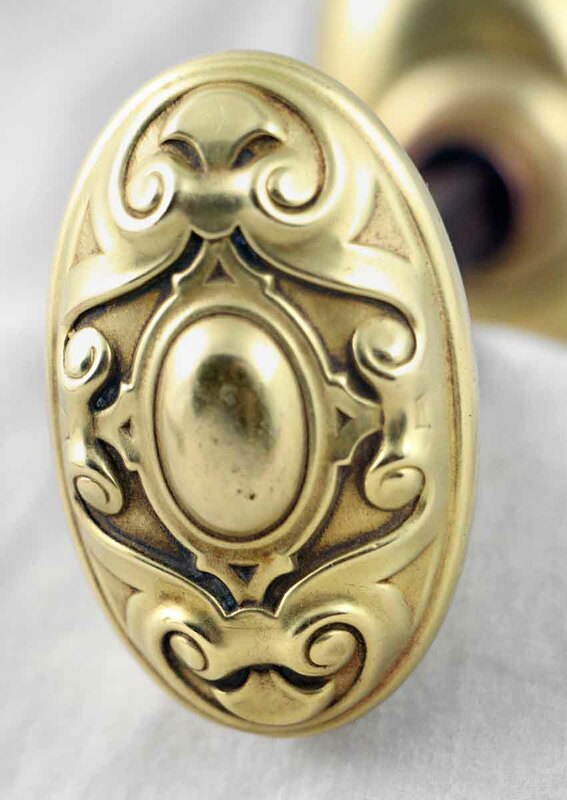 The knob and escutcheon is shown on page 97 of Antique Builders Hardware. 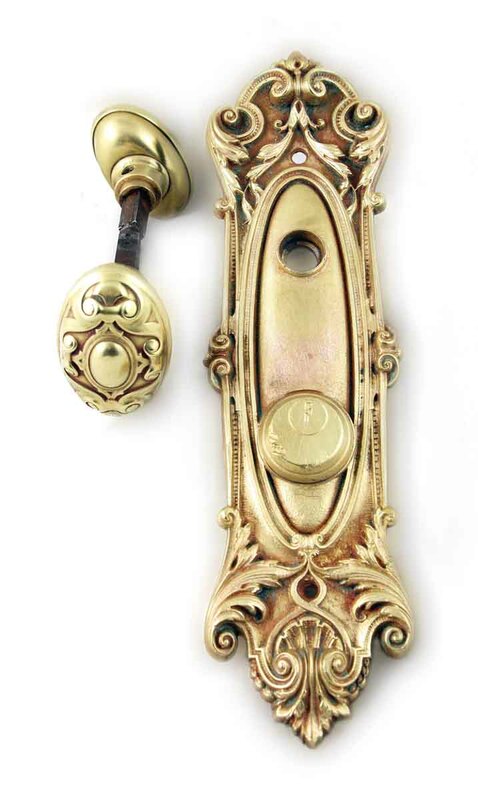 Set includes one doorknob and one back plate.